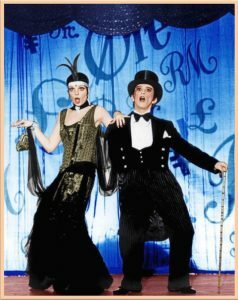 ♫ Money Makes the World Go Round ♪ ♫ - Credit Mediators Inc.
How I loved the scene from the musical Cabaret with Liza Minelli and Joel Gray when they sung and danced to the song, Money Makes the World Go Round. With the catchy lyrics and foot tapping melody, I feel the song definitely resonates with my profession. Recently, one of our corresponding collection agents in Norway asked if we were able to collect a claim in Korea. Without blinking an eye, I responded that through our international collection network we would be able to handle their request. The upshot was that a $50K claim was placed with us and we in turn forwarded it on to our collection partner in Seoul. After some time, the claim was collected in full and subsequently, the money was remitted to us, which was forwarded on to our Norwegian agent, who ultimately sent it to the creditor in Sweden. It was a very happy ending that traversed a few continents, countries, languages and cultures. There’s no question that almost every part of the world has become integrated to some extent into the global economy. What this means is that with increasing investment and trade, the debt collection pipeline continues to increase right along side. This collection network not only supports thousands of international debt collection requests and remittances on a daily basis, it has become an integral part of maintaining the overall global economy. Let me take a moment to share a few very important facts and ideas about the collection industry, and how the money it collects truly makes the world go round. According to the World Trade Organization’s 2016 review, in 2016 there was approximately $16 trillion in global trade. Conservatively, if assuming that just 2% of this amount became significantly delinquent, one can estimate that about $360 billion of total global trade was placed with third party collection service providers in 2016. Also in 2016, U.S businesses placed approximately $276 billion in debt with collection agencies, and of that amount about $55.2 billion was collected. The world-wide collection industry averages a 20% collection rate but depending upon the country and the culture regarding the attitude towards payment obligations, such as in Japan, the collection rate can be as high as 35%. According to the Bureau of Labor Statistics Occupational Outlook Handbook, there are about 305,700 credit and collection jobs in the U.S. When an effective debt collection infrastructure is in place, financial institutions, factoring companies, lenders and credit grantors are more inclined to extend credit to businesses and consumers who are considered to be of higher than normal risk. In other words, if payment is not forthcoming, lenders and credit grantors know they can rely on an effective collection safety net to support their collection needs. As the world-wide collection industry keeps the cash flow flowing, this keeps interest rates lower for additional borrowing and supports the global expansion in sales for goods and services. With a 150 year history behind it, today’s collection industry has become highly sophisticated with several international credit and collection associations. Two associations that stand out specifically for the protection of Creditors Rights are the International Association of Commercial Collections and the Commercial Collection Agencies of America. These associations have established strict standards of professionalism and compliance that must be fulfilled in order to be fully certified. So the next time you have a chance to enjoy the music from Cabaret, especially the song, “Money Makes the World Go Round,” I hope you will keep your collection partner in mind. * The above information is from various white papers and the Advocacy Action Center of the American Collectors Association.